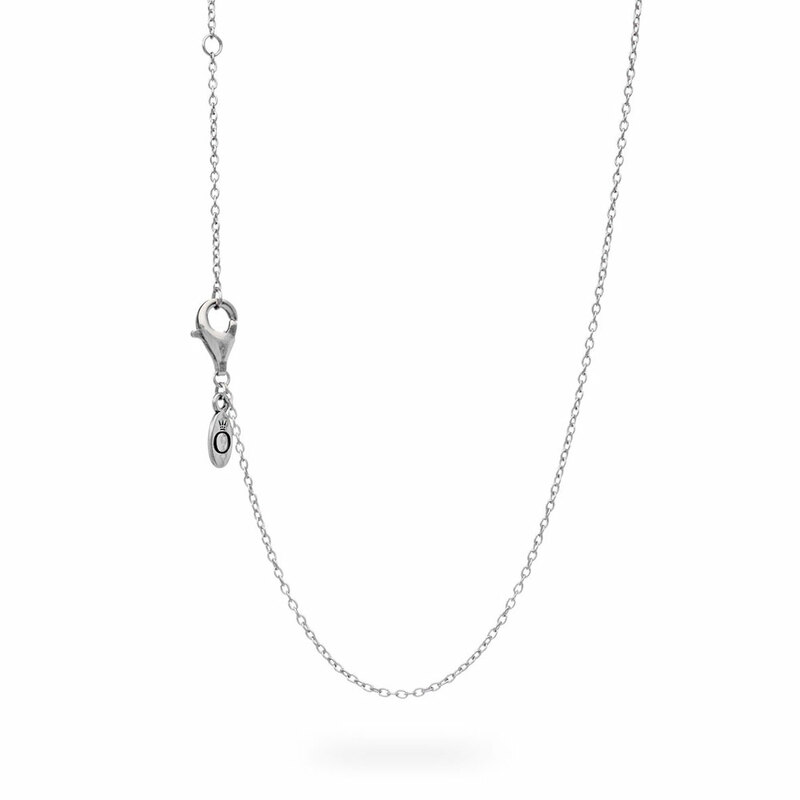 Add this Signature PANDORA silver necklace chain to your collection; wear with your favourite pendants or charms. Buy this necklace online or in store. Silver PANDORA Anchor Chain Necklace is rated 3.8 out of 5 by 15. Rated 5 out of 5 by Judeann from Beautiful! I bought the chain along with amethyst drop for my granddaughters Birthday, and she loved it! Rated 5 out of 5 by Judy12 from Great!!!! I bought two of them and I wear them together. I love it. It is so simple and elegant. Rated 5 out of 5 by DD03 from Small and pretyy Both this for my daughter and she loves it!!! Thinking about getting one for myself! Rated 2 out of 5 by Maiva from Too fine, too small jump ring I bought two of this chains online. Chain is pretty, beautiful finish but, it is way too fine at 1.63 grams. I am just hoping it'll last. The second objection refers to the jump ring at the end of the chain. It is way too small, fine and the same size as another two jump rings meant to adjust the length of the chain. I do have a problem when I am putting it on, it is tricky to hold on to it. For the chain of this weight, I believe it doesn't justify $39 price. Rated 5 out of 5 by V lynn from Beautiful chain I recently purchased a sterling silver chain from pandora .It's the nicest chain I've ever had i love it . Rated 1 out of 5 by ItsRaevenne from Not as nice as expected This is very thin, and not at all like the one I purchased about four years ago. It's much to thin for me to wear on a daily basis. Returning. Rated 2 out of 5 by Dohm from Eh I bought it a week ago and it just came in. I'm a bit disappointed I thought it would be a thicker chain, I feel like it's so skinny it's going to break.